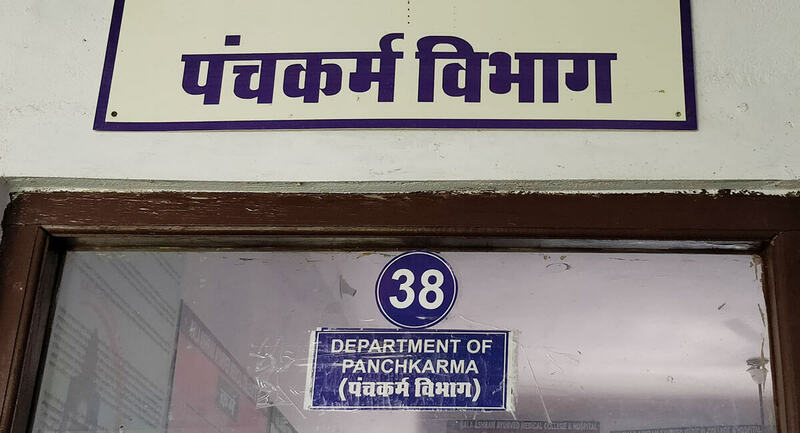 The department trains the BAMS students about Panchkarma i.e. the penta bio-purificatory treatment modalities in the fourth year of BAMS course. 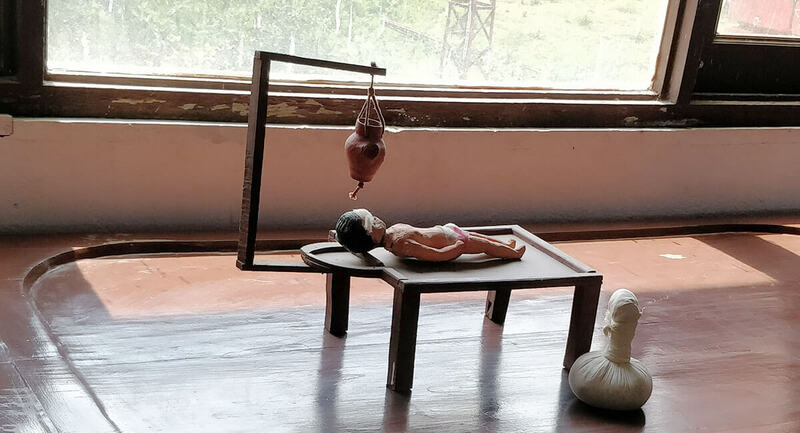 Panchkarma include five major therapies of Ayurveda namely Vamana (Therapeutic Emesis), Virechana (Therapeutic Purgation), Basti (Enema Therapy), Nasya (Nasal Administration of Medicines) and Raktamokshana (Blood Letting Therapy). 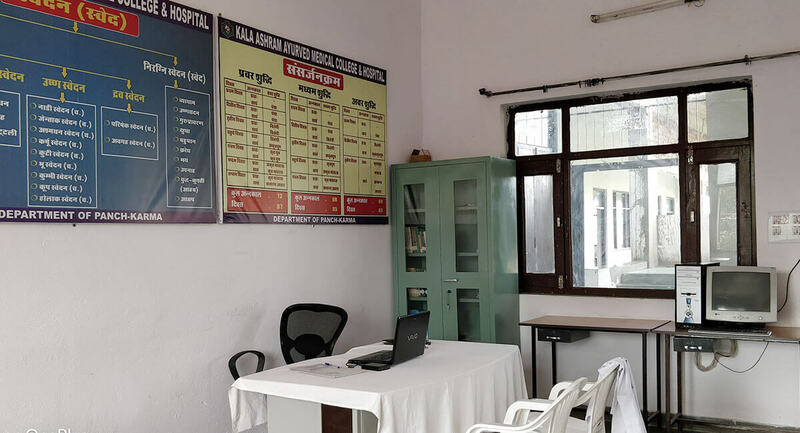 Here in Kala Ashram, we follow Panchkarma with specially designed pre and post operative regimen for various disorders. 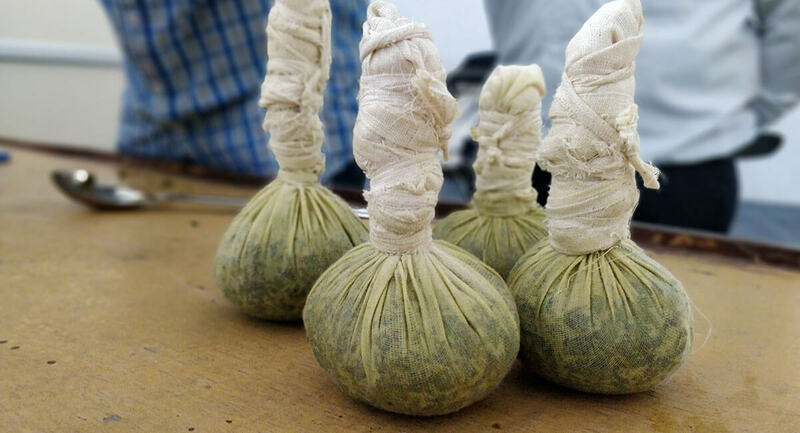 Besides the traditional Panchkarma procedures the college also trains the students in various Snehana (Oleation) and Swedana (Fomentation) procedures and Keraleeya Chikitsa Kramas like Pottali Swedas, Pizhichil, Shirodhara etc. 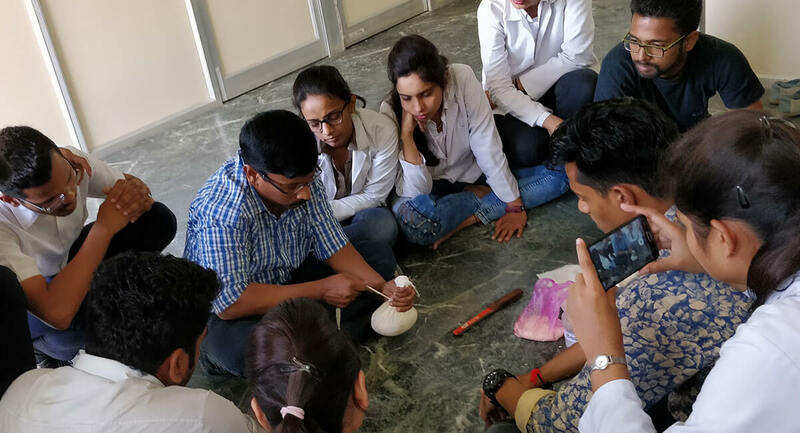 The students are regularly taught in depth theory related to the subject comparing different classical ayurveda texts including Brihattrayees and Laghutrayees and also its modern day applications. Regular practical classes are conducted in details under the supervision of well trained faculties. 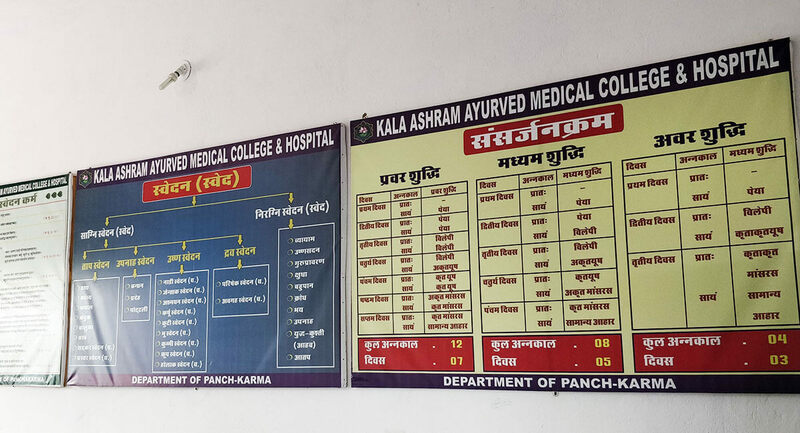 The department is fully equipped with the necessary equipments of Panchkarma and college management is fully committed for the further development of the Panchkarma unit of the college. 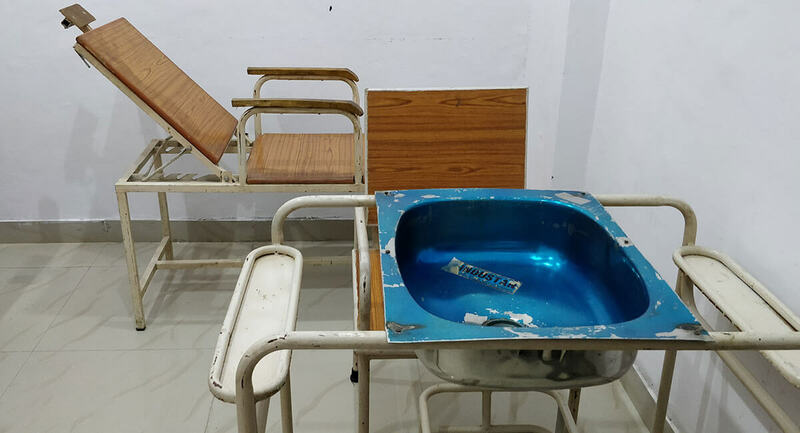 The department also engaged in imparting teaching and technical training for senior secondary passed students, in-serviceman and ayurvedic doctors and provided Panchkarma Technical Assistant Certificate Course, which is dully recognized by Dr. S.R. Rajasthan Ayurved University, Jodhpur. The students study poorva, pradhana and paschat karmas of Panchkarma in depth, different internal and external oleation therapies including abhyanga, mardana, padaghata, kayaseka, shirodhara, shiropichu, shirobasti are taught in practical classes. Also special procedures like takradhara, aschotana, anana, udvartana, gandusha, kavala, dhoomapana, talapothichil and different types of pinda sweda and avagaha sweda are being taught. 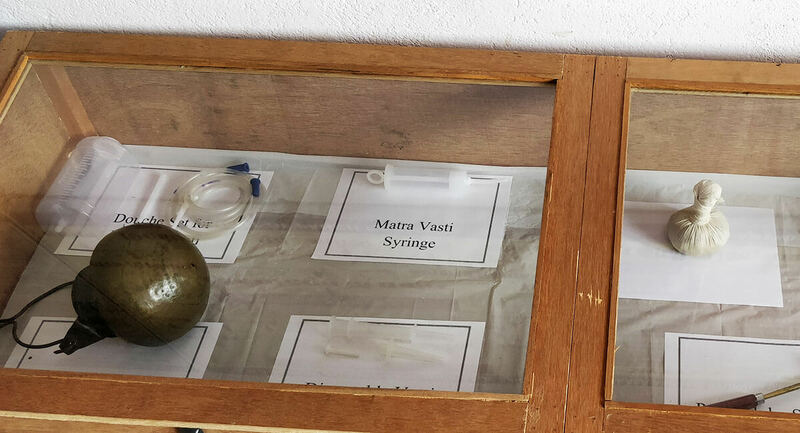 The students get regular exposure to disease specific Panchkarma procedures too. Different aspects of blood letting therapies including its modern parlance cupping therapy/hijama, leech therapy are taught. 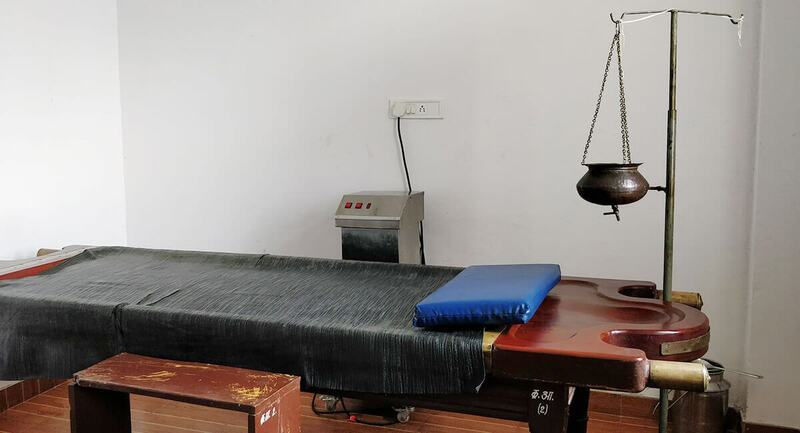 Different kind of basti therapies (enema therapies) are being administered in disease like gouty arthriitis (vatarakta), rheumatoid arthritis (amavata), sandhigata vata (osteo arthritis) and many neurological conditions etc. The basics of physiotherapy is also been covered as part of the syllabus.